One of the changes in the new Clash of Kings rules is that you get a cover save for weapons that hit on a 4+ . This modifier means that you need a 5+ to hit. The aim of the change - I believe - was to reduce the effect of Breath Weapons and missile spells that were being spammed in a lot of armies (Abyss, Ratkin and Goblins being the main offenders). Overall I think this is a good change as it makes their effective use more skilful rather than the current point and click (maximum effect regardless). My understanding is that until very late in the piece (maybe even the final proof), a target with "Stealth" was also going to receive the modifier. I think it is a shame that they made this late change as I think the "Stealth" rule is a nice mechanic and it acts as a differentiator between units. Taking at the "macro" level, I would have thought the inability to be seen would provide the same level of protection as cover. I may have missed one or two but it is not a very long list. Well over 70% are captured in two armies - Rhordia and Night Stalkers. Now I tend to see a lot of results from events around the world and I can pretty categorically say that the podium is not being dominated by Halflings. 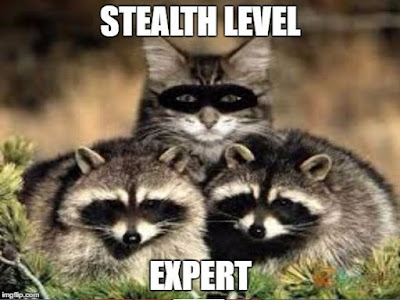 On that basis the failure to include "Stealth" in the modifier seems to be directed at Night Stalkers. Clash of Kings hits two of the most prevalent Night Stalker units - Fiends and Mind Screech - by reducing their Nerve. That may or may not lead to a rebalance in list composition - I haven't played against Night Stalkers enough to make a call. What I am wondering is whether it was the concern of a "boost" for Night Stalkers that saw the late change removing "Stealth" from the modifier. I can see that the Rules Committee might think that the likely reduction in 4++ shooting overall (due to the modifier) might benefit Stealth units indirectly without the need to include within the modifier. I'd love to see any calculations that influenced the decision. I suspect that it may have been more of a "gut feel" decision, which I think that the RC usually get right. My own opinion is that they may have got this wrong and made a call on army balance rather than a pure rules mechanic call. In the end it may not be major impact but if they have shied away from correcting a rules mechanic due to single army balance concerns then I think it is a divergence from their past modus operandi. Disclaimer: I have purchased all the figures to build a Night Stalkers army.